One day her father formed an hypothesis, “Perhaps it’s an excess of mental rather than physical energy,” he said. “What if we were to enroll Hélène in a music class?” Later, as her music teacher played a piece by Schumann, Hélène, age seven, encountered the piano and the kind of music that would change her life. The rest, as they say, is history: Ms. Grimaud went on to win international fame, playing concerts in the major cities of Europe and the United States. ”The Romantic repertoire [e.g., Brahms, Beethoven, Rachmaninoff, Schumann, Debussy, Chopin, and Liszt],” she writes, “has always enchanted me.” Her other favorite composers include Bach, Mozart, Ravel, Strauss, Gershwin, Bartok, Berg, and Shostakovich. Ms. Grimaud experienced a personal epiphany when Alawa—a she-wolf with glowing eyes—crossed her path on a road in Florida. With this barely domesticated animal she immediately bonded. Thus began the second great passion of her life, a love that led her to found the Wolf Conservation Center in South Salem, New York. This memoir is the engaging story of a stunningly talented young woman who is inhabited by the spirit of wolves. A wild vitality, a ferocious passion, animates her life and music. 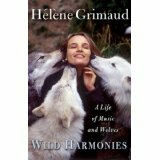 What a remarkable human being is Hélène Grimaud! Back in the day—the early 2000’s to be exact—one of the coolest Saturday nights you could come up with in Nashville was catching The Josh Jackson Band at the old Sutler. The “JJB” regularly packed the joint, and gave its big fan base a musical treat time after time after time. Now Yes Dear—featuring the same Josh Jackson—follows that “musical treat” tradition by releasing its outstanding debut album. Distinctly more country-nuanced than the old JJB—but staying safely clear of Music Row—Yes Dear is a deeply satisfying album you easily could place beside stand-outs from Poco or Pure Prairie League. 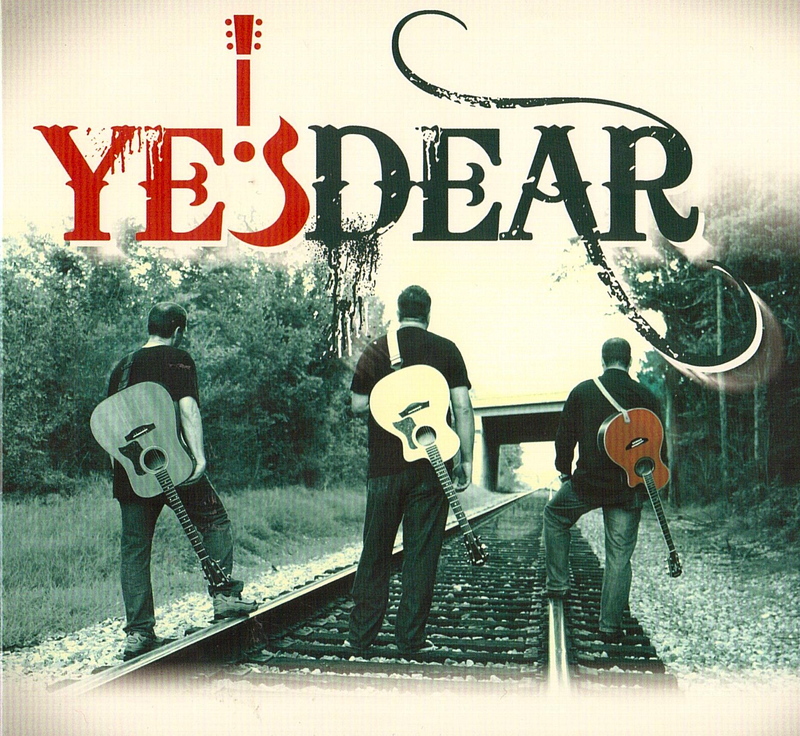 Brimming with smart, strong songs, electric harmonies, and excellent production, Yes Dear is, in fact, the record you wish the bright lights of country-rock were making today. In a collection of eight songs featuring no weak link, the two MOST stand-out tracks, for my money, are “Things That Little Girls Do,” and the reworked (from the Josh Jackson Band) “Rosa.” Upon first hearing “Things That Little Girls Do,” I thought “That’s got ‘hit’ written all over it.” Perhaps I might revise that to “instant classic.” Like this entire album, the song demonstrates what gifted people can do when they are serious-minded about music as an art form—but refuse to leave the fun behind. Editor’s Note: Roy E. Perry wrote book reviews for “The Tennessean” and “Nashville Banner” for more than thirty years. “Underground Nashville” is always proud to present Mr. Perry’s latest book review for our readers. The basic problem explored by Ms. Geftner’s narrative is the conceptual gulf between Einstein’s general theory of relativity (which he later regretted not calling his “general theory of invariance”) and quantum mechanics. The “holy grail” for physics would be to find a synthesis (reconciliation) of these two theories—a viable theory of quantum gravity. The thorny question is: Does ultimate reality demand invariance, that is, is the universe observer-independent? Does the universe exist prior to, and apart from, anyone observing it? Here’s where “weird” gets “weirder than weird.” According to quantum mechanics, time, space, and—yes, even the universe itself—are relative to the observer’s perspective; in other words, ultimate reality is radically observer-dependent. Each person’s universe is different from any every other person’s universe, an astonishing claim reminiscent of the position articulated by 18th-century Anglo-Irish philosopher George Berkeley, who asserted “To be is to be perceived”—a subjective idealism haunted by the specter of solipsism. 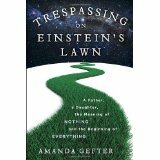 The heart and soul of Trespassing on Einstein’s Lawn are the interviews and correspondences conducted by Ms. Geftner with some of today’s most brilliant theoretical physicists, including Stephen Hawking, Joseph Wheeler, and David Gross (among numerous others). The author writes: “I was fifteen at the time, and my father had taken me out for dinner at our favorite Chinese restaurant . . . . I was pushing a cashew around my plate with a chopstick when [my father] looked at me intently and asked, ‘How would you define nothing?’“ “How would you define nothing?” Thus began the author’s all-consuming hunt for ultimate reality, as explored in this book. Along the way, Ms. Gefter earns her credentials in spades, proving herself a gifted science writer who often explains physicists’ ideas better than they do. By all means, read this engaging, intelligent, and funny book, and learn about the weird, bizarre world of quantum mechanics. Amanda Gefter is a writer specializing in fundamental physics and cosmology and a consultant for New Scientist magazine. She previously served as books and arts editor for New Scientist magazine, and founded “CultureLab,” New Scientist’s books and arts blog. This is her first book. 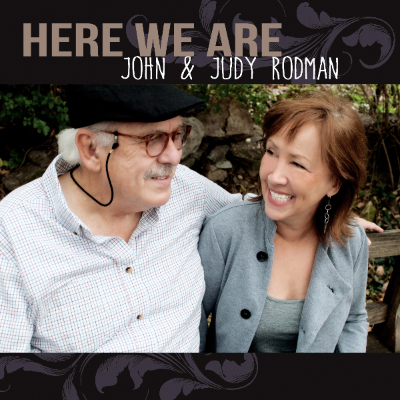 Judy Rodman—the Academy of Country Music Award-winning artist and hit songwriter—and her husband John will release Here We Are, their debut album as a duo, on Tuesday, March 24. John Rodman is an acclaimed drummer/songwriter with thousands of performing credits, from the symphony to amphitheaters to the recording studio to television. An exclusive listening party will be held at the Nashville Musician’s Union on March 17 at 7:00 p.m. The album will be released worldwide on CD Baby and iTunes one week later. You are currently browsing the Underground Nashville blog archives for February, 2015.